KBox is a natural extension of the Web on your computer. A common repository where users can share resources without duplication. Use KBox either as a command-line program or a library in your application. Make your dataset available through a SPARQL endpoint in seconds. Virtually install and readily query distributed RDF knowledge bases. Edgard is a Research Assistant at the Leipzig University of Applied Sciences (HTWK) and is pursuing a PhD at the University of Leipzig. 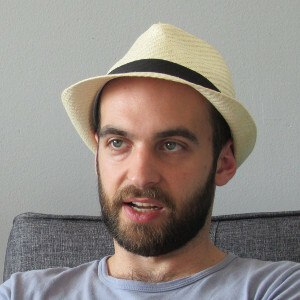 Tommaso is a Research Assistant and PhD candidate at the University of Leipzig. Twitter account of	Ciro Baron N.
Linkedin account of	Ciro Baron N.
Ciro is based in Berlin and is also a PhD candidate at the University of Leipzig. Sandro is a Master student at Universidade Federal Fluminense, Brazil, and a research intern at InfAI, Leipzig, Germany. Start querying Linked Data with KBox. Tommaso presents KBox at ICSC2017 in San Diego.